Trying to stay 1 month ahead! This is a busy board, and the actual file has lots more about dry weight. I just didn’t have enough room to put everything. One of my nurses asked if we could do an education focused on dry weight since many patients didn’t really know what they were talking about when they said dry weight. 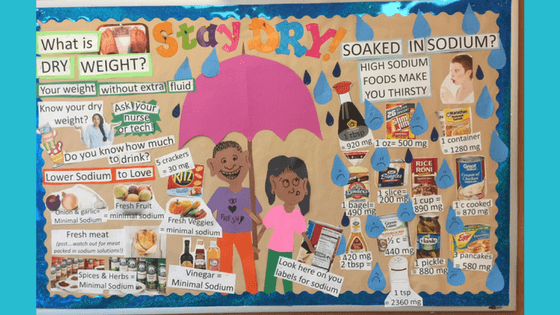 I used the dry weight handout found in the library along with this board and had lots of great conversations with the patients this month. Access the file and handout here in the renal education library!